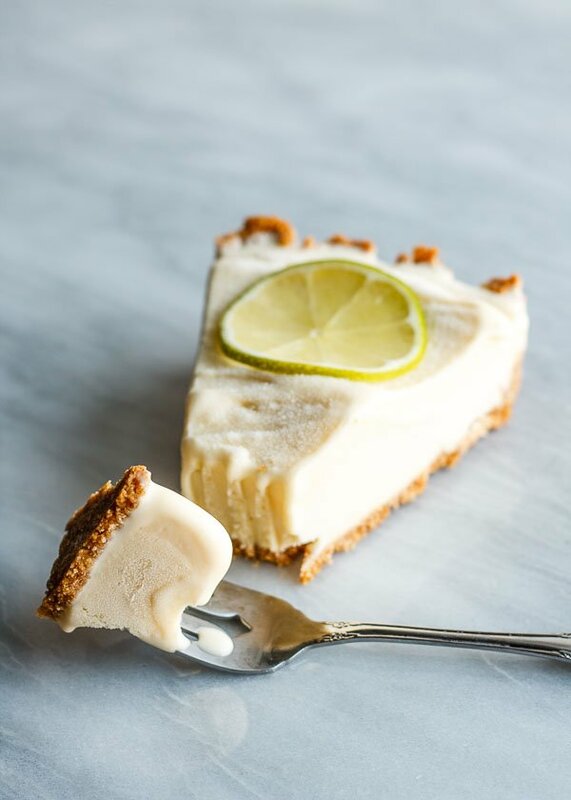 Why not try something different from the traditional but tiny key lime in a pie? You know those tiny things take forever to squeeze right? Persian limes, which seem to be a cross between key limes and lemons, are seedless and extra fragrant. I zest and juice them for tons of summer dishes and desserts. 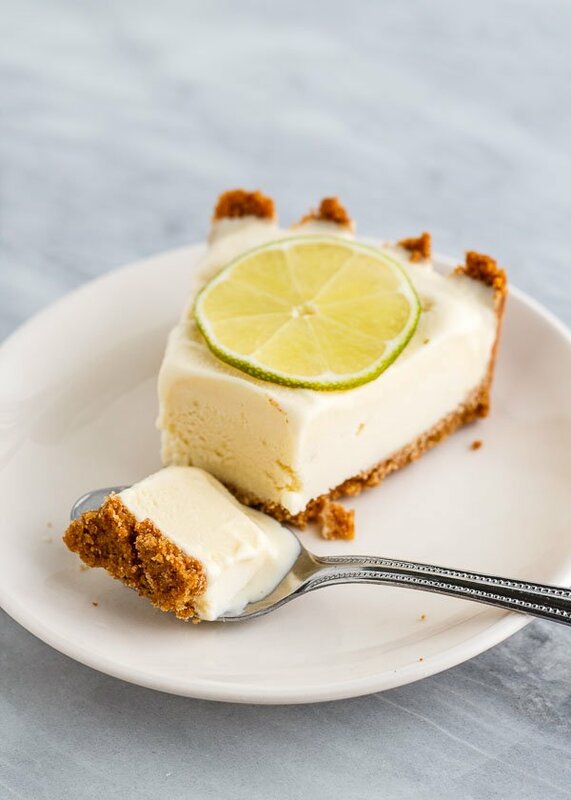 This tart but loveable Persian lime ice cream pie in a buttery graham cracker crust packs a refreshing punch in Boston’s current heat wave. 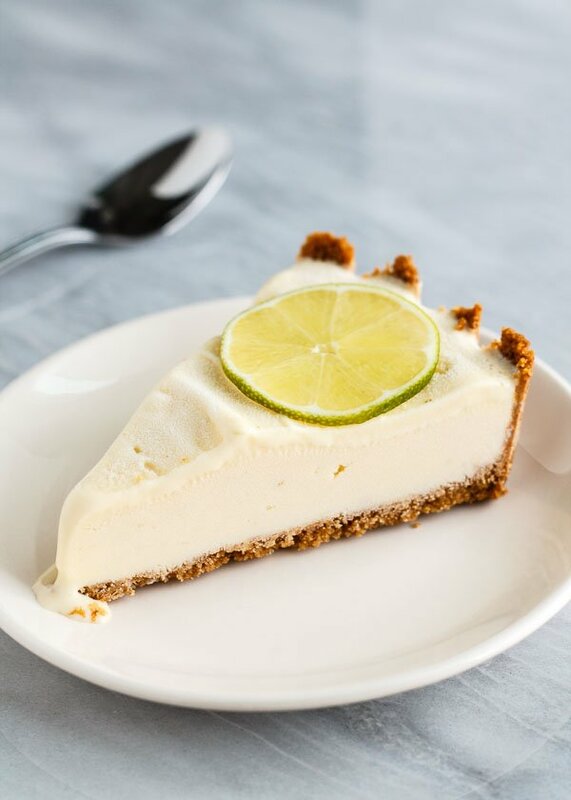 This ice cream pie is easy to slice and cream free (sorta low fat? ), plus it’s got a salted graham cracker crust instead of a super sugary one. Lime and Salt. Margaritas. In fact, there is a touch of rum in the ice cream. Oh wait, would that make it a daiquiri? Anyway, lime + salt. It works! 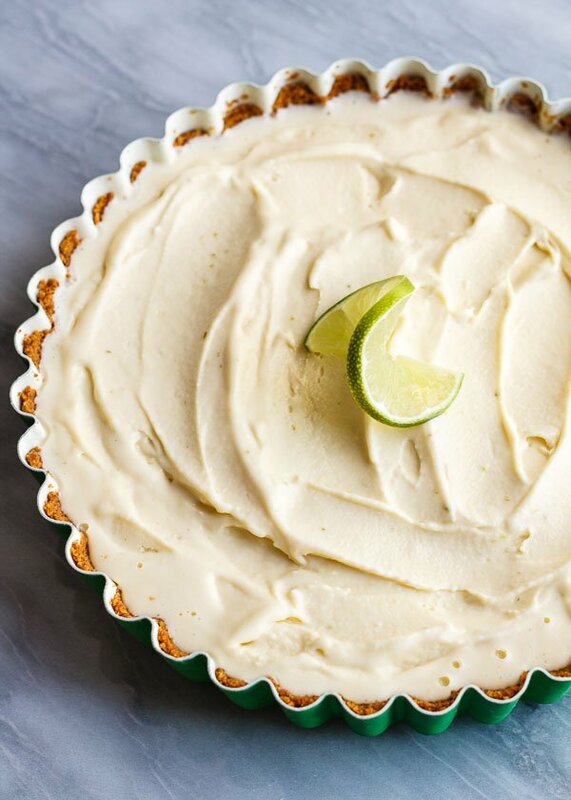 I could pretend I made this ice cream pie for National Ice Cream Day and oh better late than never, but nope, I made this ice cream pie because it’s hot out and I felt the need for a frozen version of key lime pie even though there were already 4 pints of Talenti in my freezer (they were on sale…) and I’m contemplating buying a second freezer bowl for my ice cream maker so I can churn 2 different flavors at once except for the fact that my roommates might kill me for being the freezer hog. I like to come home and eat 1 scoop of each flavor. That’s dinner. Also, I got this marble board to photograph things on, but it’s all crackly looking and not the marble I imagined. Where can I get one of those white speckly marble boards without breaking the bank? Maybe it’s time to go back to India. Make sure you have enough room in your freezer to lay this flat! 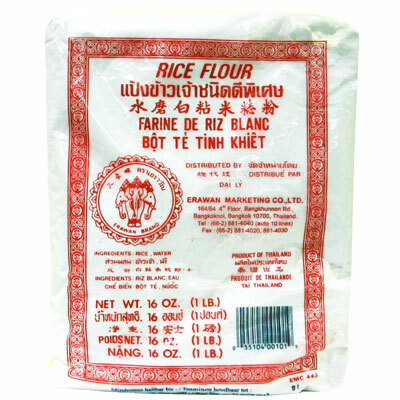 Read this article for more information on cornstarch vs. rice flour. Whisk a little of the milk (about 1/3 cup) with the Thai rice flour in a medium sized, heavy bottomed pot until smooth, then whisk in the egg yolks and the rest of the milk. Add the lime zest and bring the mixture to a simmer over medium to medium-high heat, whisking constantly and scraping the bottom of the pot until the mixture thickens. It should bubble but not fully boil for a few minutes. Remove from heat and whisk in the cream cheese and sugar. Use an immersion blender to get the mixture very smooth if need be. Cool completely, then cover with a lid and chill overnight before whisking in the lime juice and rum. Mix butter with salt (if using) and vanilla. Add the crushed graham crackers and mix it all together with a fork. Use the removable bottom of a standard tart pan (mine is about 9 inches across and almost 2 inches high) to trace a circle in a sheet of parchment paper. Cut out the circle and lay it inside the reassembled tart pan. Dump in the graham cracker mixture and press it in an even layer over the bottom and up the sides of the pan. Bake for 10 minutes, then cool completely. Cover with plastic wrap and place it on a rimmed baking sheet so it doesn't slide around in the freezer. Freeze until ready to assemble. 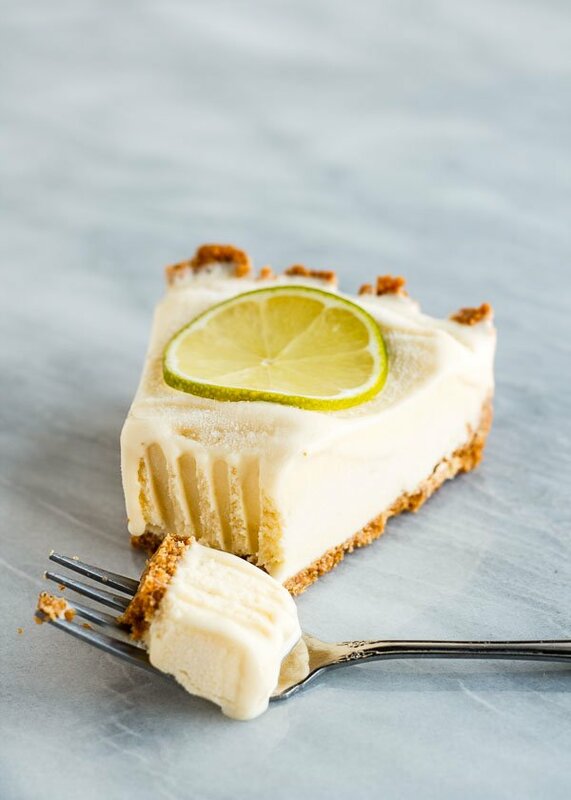 Churn the lime custard mixture in your ice cream maker. In hot weather, I cover the opening of my ice cream maker with a plate to trap the cold air. It's usually ready in 15 minutes. Take the entire baking sheet out of the freezer and remove the plastic wrap. Spread the ice cream evenly inside the tart shell, cover again with plastic wrap, and return it to the freezer. Freeze for at least 3 hours or until very firm before removing from the tart pan to slice and serve. 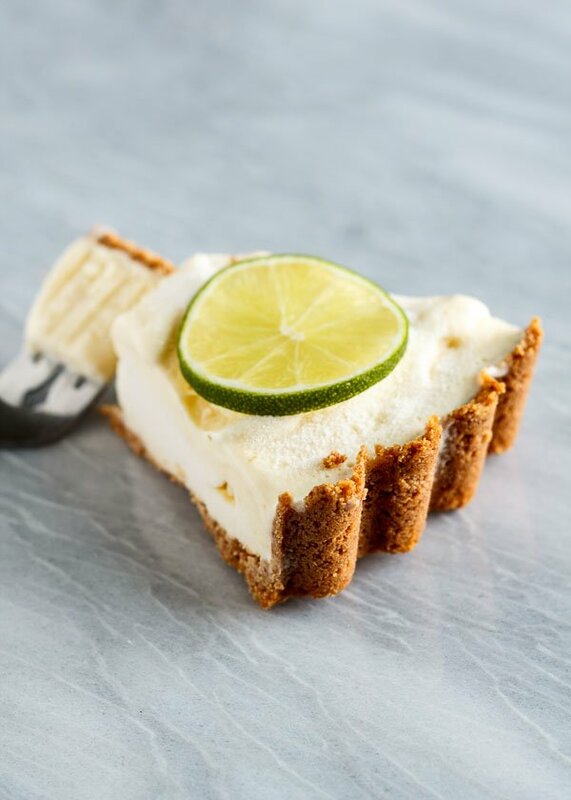 Garnish with lime slices or lightly sweetened whipped cream. Wow this looks seriously perfect!! I love coconut lime… lovely! Stunningly beautiful for a refreshing summer treat, Lu! Finding marble for food photography is hard. I’ve thought about trying the new ones from food52… have you looked at those? This is just so beautiful! 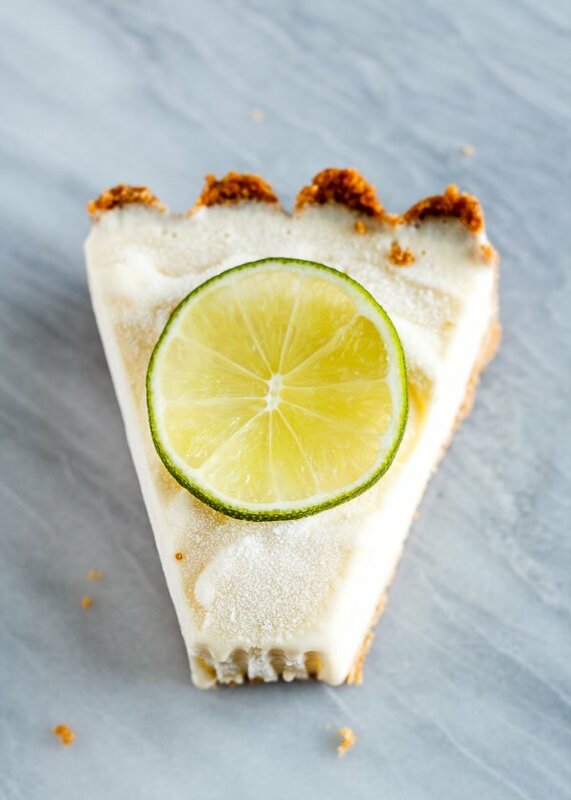 I love the Persian limes and the cool pie 🙂 Perfect for summer!